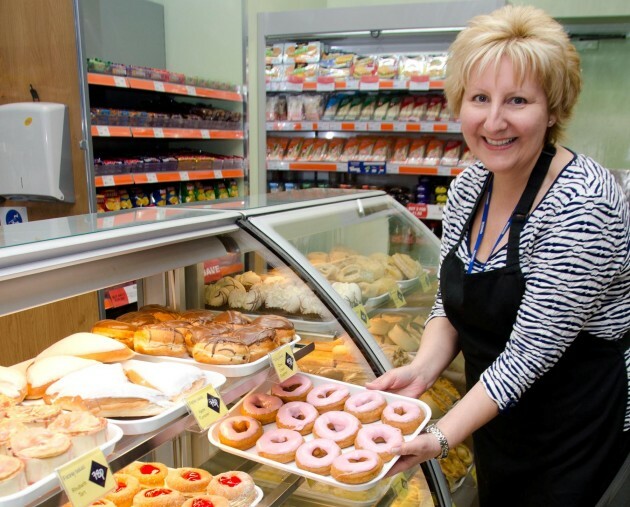 Scotmid now has bakery counters in nearly 90 stores. "We are very proud to work with these award winning bakers for many of our stores." Five of Scotmid’s local bakery partners have scooped top crust honours in the 15th World Scotch Pie Championships, held on 15 January 2014 in Dunfermline’s Carnegie Conference Centre. Prize winners included Ashers Bakery of Nairn, Stuart’s of Buckhaven, Goodfellows of Dundee, Stephen’s of Dunfermline, and Aulds of Greenock – all of which have bakery counters inside Scotmid stores. This year’s competition saw more than 99 bakers and butchers from all over Scotland deliver 543 of the best their pies, savouries and bridies, as they battled it out for pie supremacy. In the scotch pie category, Ashers Bakery from Nairn received a gold award, while the silver went to Stuart’s the Bakers. Goodfellows picked up a gold for their bridie, Ashers received the silver and both Stephen’s and Stuart’s the Bakers took away bronze awards. Goodfellows also won a gold for their sausage roll, with the silver awarded to Stephen’s and a bronze to Ashers. Aulds received a bronze medal for their steak pie. The World Scotch Pie Championships has run for 15 years and aims to highlight bakers and butchers that create top quality artisan pastry products. The competition gives butchers and bakers across Scotland the opportunity to become recognised as producing the highest quality products around the globe with awards given to those producing the best products in each category. Scotmid has now set up partnerships with seven Scottish craft bakers, with in-store bakery counters in almost 90 stores. Scotmid has partnerships with Stephens the Bakers, Dunfermline; Goodfellow & Steven from Dundee; JG Ross in Inverurie; Aulds the Bakers in Glasgow; Stuart’s of Buckhaven, The Breadwinner Bakery from Edinburgh, and Ashers from Nairn. The retailer has also partnered with Brysons of Keswick for its new Lakes and Dales Co-operative store in Lazonby, Cumbria. Scotmid’s partnerships with local bakeries are part of the retailer’s commitment to support local suppliers and provide an excellent range of bakery products for customers.